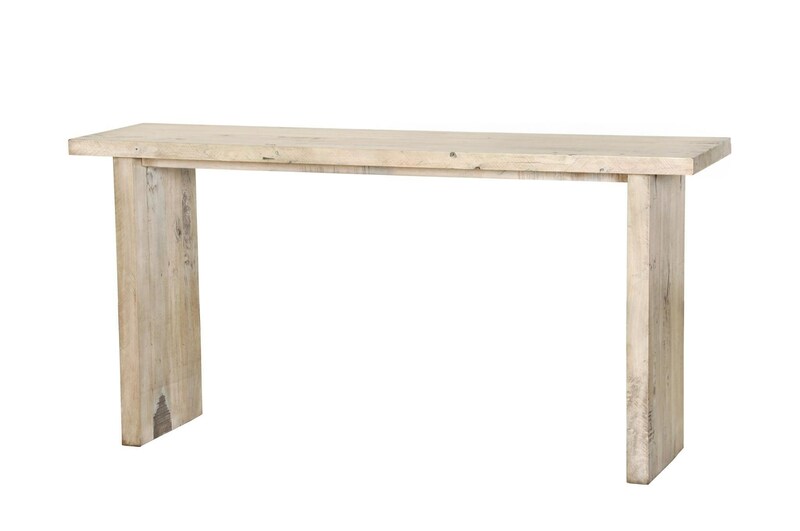 Add a rustic touch to your living room or hallway with this console table. The table is crafted from durable solid mahogany, mango, and mindi reclaimed woods, and finished in a light color that highlights the natural beauty of the wood's imperfections. Clean lines ensure that the table is perfectly balanced as a rustic contemporary design. The Renewal Console Table by Napa Furniture Designs at HomeWorld Furniture in the Hawaii, Oahu, Hilo, Kona, Maui area. Product availability may vary. Contact us for the most current availability on this product.